Today, the options available with the fresh law graduates are either to work with a corporate in its in-house legal team or join a law firm. Both, the type of work and culture are very different, though the skill and legal knowledge required is the same. In-house corporate legal job again differs from corporate to corporate and industry to industry. The type of legal work in the financial sector differs from that of manufacturing/construction industry. Even within the financial section, legal work differs between the banks, a non-banking financial company, a fund house, and so on. It won't be wrong to say that the 21st century fresh graduates stepping out of decent colleges are surely ready to enjoy these exciting job roles comprehending the fact that they go through a lot of internships and hands-on training in their colleges. One thing what the colleges should start doing right now in the legal education structure is guiding the student in choosing the right industry (corporate, law firm, litigation and alike). The colleges can conduct different classes to provide light on the options and assist the students to select the right field, depending upon their interests and aspirations. A special training/addition material can be rendered to them during their course period so that the student gets trained according to their choices. Innumerable changes are taking place in the legal space currently. For instance, Insolvency and Bankruptcy code was enacted during the end of 2016. Law students should be always kept informed regarding these new entrances throughout their course tenure. The habit of updating on the latest happenings in the legal space has to be inculcated in them. Apart from the usual syllabus, the students should be made to appear in one paper each semester to bring up the major changes which have taken place in a legal space of their choice. For example, someone having interest in Intellectual Property Space can write a paper on changes in the Intellectual Property laws, other having interest in Infrastructure Space and a particular sector can write on that sector changes, and so on. Anyhow, at the end of the day, what will make law students, the horse of long run is their sincerity, hunger to learn, staying abreast of the latest development in the legal field for which they must spend at least sometime during the day for reading purpose, developing good drafting and communication skills. The students should be also able to take a practical approach to the legal issues without any threat to the interest of the organization. They should be able to find solutions to the problems rather than just highlighting the risks or issues. According to me, the finance industry is increasing at a great speed. Lot of corporates who were outsourcing the legal work are now looking to hire legal resources and building up legal team. In finance space, there are banks, NBFCs, Fund Houses, Insurance Companies and Law firms focused on the finance industry. A lot of other industries are hiring contract negotiations and finalization, litigation, and many more, depending upon the industry. The other space is the insolvency and bankruptcy area where the action and processes are evolving. Anyhow, students should understand that there is no alternative for hard work. To taste success in any area of legal industry, the prospective students are expected to spend their initial 3-4 years in one organization so that they can develop expertise in what they are doing. Santosh Parab is a Post Graduate in law. 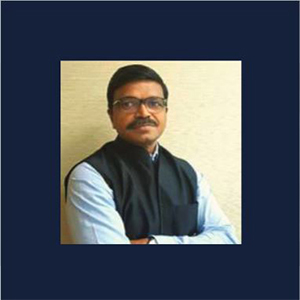 He has over 17 years of experience in the legal sector and has worked with IDBI for 5 years before joining IDFC. During his tenure at IDFC Bank as General Counsel & Head - Legal, he has been involved in dealing with legal and other issues arising out of documentation relating to financing of various infrastructure project financed by IDFC. Apart from project financing, he has also worked on documents for bidding of projects, setting up third-party funds, investment and acquisition documents.